If you are using a form to collect online payments you may want to pass along the processing fee the same way you can with dues. Online credit and debit card payments incur a fee of 2.9% of the total plus an additional flat $.30 per transaction. If your form collects payment for more than one item, for example a party reservation form that charges a fee for the reservation plus an additional amount per guest, you will need to add a Subtotal field to your form. 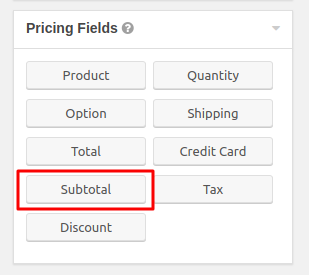 You will find that under the Pricing Fields block of form fields. 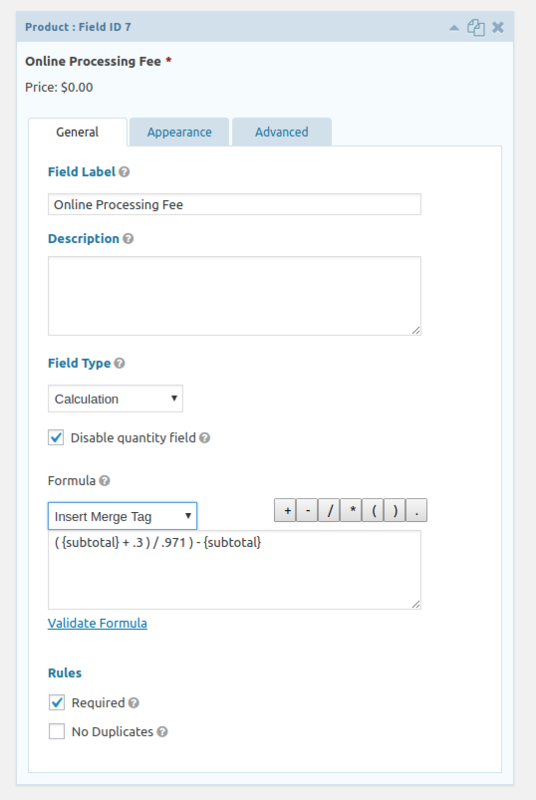 Finally you will need to add a Total field, again from the Pricing Fields block. 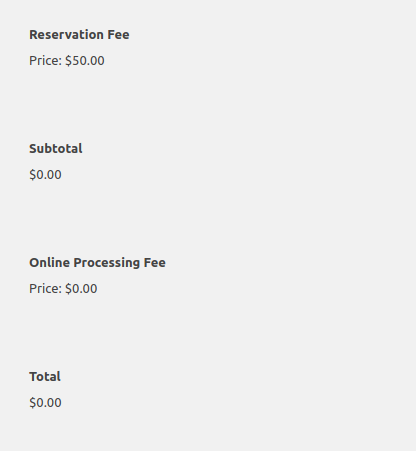 Here is an example of what a form that is set up to pass on the online processing fee might look like. 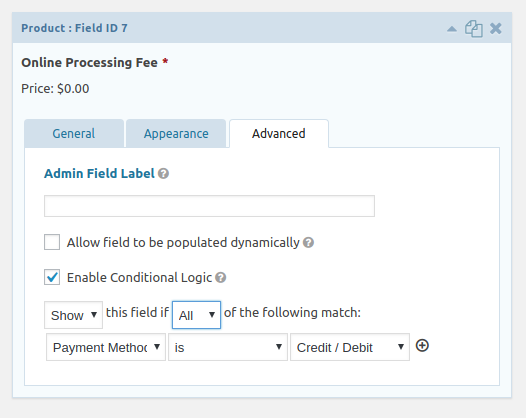 Once you have the payment method field configured, you can click on the Advanced tab in the Online Processing Fee field settings and click the Conditional Logic checkbox. 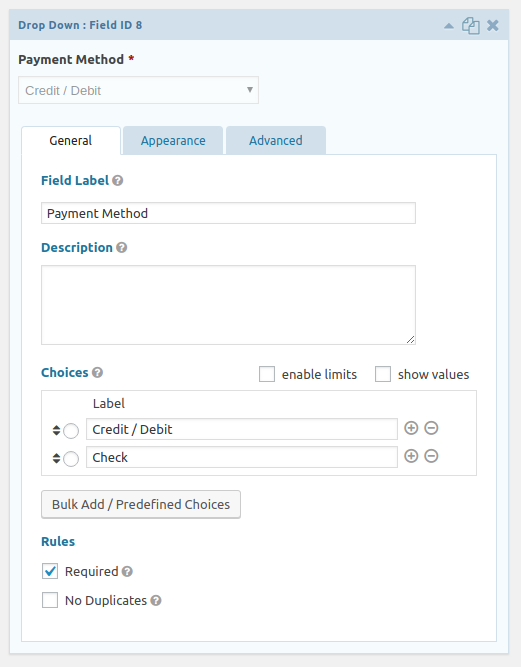 Then set the rule for when the fee should be applied, as shown in the screenshot below. That’s it! Your form will now automatically calculate the correct amount to add to each submission so that the full cost of processing is passed on to the payer.